Bewick’s swan coming in to land at Slimbridge. Canon 1Dx. 800mm lens. 1/5000th at f8. 1600 iso. The 1Dx camera continues to impress me with its autofocus locking on to things I feel it has no right to. However this swan was an easy subject. Large, slow and heading into the wind it could almost be done with a manual focus lens. In fact we used to! 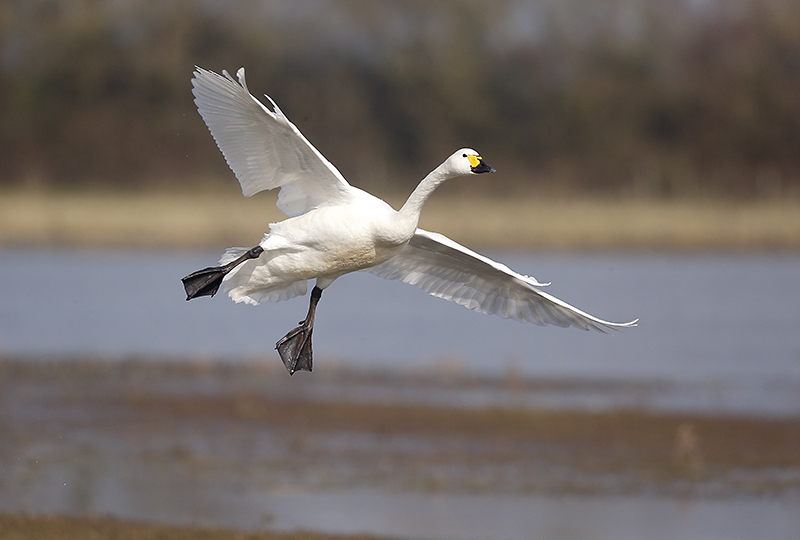 Posted on February 24, 2013, in Uncategorized and tagged 800mm, bewick's, Canon 1dx, flight, lens, swan. Bookmark the permalink. Leave a comment.